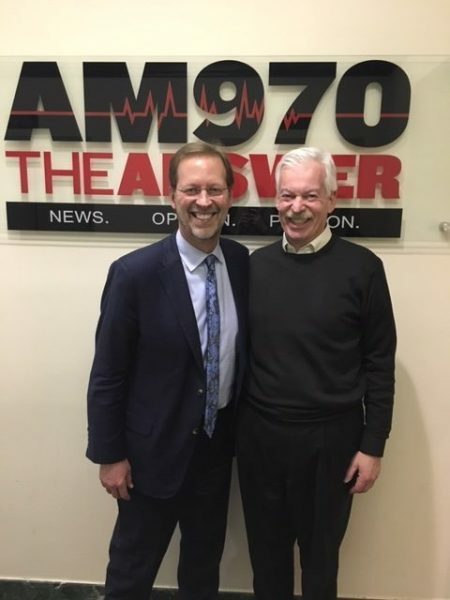 The following is a conversation between Dan Porterfield, President & CEO of the Aspen Institute, and Denver Frederick, Host of The Business of Giving on AM 970 The Answer WNYM in New York City. Denver: The most significant breakthroughs in solving social problems are not coming out of any one field or place, but rather are occurring at the intersections of different areas of study, different geography, different life experiences. It is this cross-fertilization that allows us to reframe problems that can lead to novel solutions. No single organization resides at these intersections any more squarely than does the Aspen Institute, and it’s a pleasure to have with us tonight their president and CEO, Dan Porterfield. Good evening, Dan, and welcome to The Business of Giving. Dan: Good evening, Denver. Thanks so much for having me. Denver: The Aspen Institute, 70 years old! Let’s start at the beginning by having you share with us its founding story and how it came to be. Dan: The Aspen Institute came to be in 1949 when a Chicago business leader named Walter Paepcke had a vision – that it was important to create in a new part of the country that wasn’t particularly developed, a retreat environment where leaders could gather to talk about the critical issues of the day. And Paepcke was inspired in part by the strength of America in winning World War II. He also was aware that the very bedrock of civilization had been shaken to the core by Nazi Germany, and that it was critical to put in place the informed and engaged leaders who would make sure that the bonds of citizenship would hold up under pressure in the United States. He also had an enlightened vision that business leaders were very much responsible for the overall social well-being of the country in which they made their living. Out of that vision, the Aspen Institute has become a great convening and leadership development organization, evolving every 10 years or so as society’s needs change, but always about gathering people together for important conversations about how to ensure that our country is a free, just, and equitable society. Denver: It’s amazing how the DNA of an organization is really baked in at the very beginning because what you just said… that occurred 70 years ago, is as relevant if not more so today than it was back then. Dan: Isn’t it? I just said: Free, just, and equitable society…. Those are big concepts. What does it mean to have freedom in our country? How do we ensure that each citizen, each resident is able develop his or her talents to the fullest, and live and express their freedoms as an equal citizen? What does justice mean? How do we ensure that we have rule of law in our country – either our laws are developed with institutions that are working and that are accountable to the public. And then this idea of an equitable society with so many changes in the way people work and the nature of the national and the global economy. How do we make sure that work still pays, and that it makes sense for people to set goals, to be able to take care of their family through a job that comes both with a decent salary and with decent healthcare or child care and other benefits? These are questions that every era of Americans will need to deal with – free, just, and equitable is baked into the core of the American democratic system, and it is also baked into the core of the Aspen Institute as a leadership organization. …it’s important that everybody agrees that they will answer the question that’s asked, that they will listen and respect each other’s views, that they will try to speak from a base of evidence and not just misstate facts in order to justify a point of view; that the questioner herself or himself will be unbiased and objective, and that the process of dialogue or debate ends with each side acknowledging the other’s points of view– even if they disagree, especially because they probably will disagree. And the Aspen Institute believes that as a society, we don’t need fewer arguments. We need better arguments. Denver: Let me pick up on something you said a moment ago, and that is being a great convening organization because a number of people, David Brooks of the New York Times among them, who we’ll speak about in a moment, has said it is the greatest convening organization in the world. Is this simply reputation, Dan, or there are certain things that you do – an art of getting people together from completely different ends of the spectrum and getting them to engage in constructive and respectful conversation? Dan: I think there’s a lot of common sense that comes in good convening. For example, it’s important that everybody on stage – if you’re speaking in a group on stage – everybody agrees that they will answer the question that’s asked, that they will listen to and respect each other’s views, that they will try to speak from a base of evidence and not just misstate facts in order to justify a point of view; that the questioner herself or himself will be unbiased and objective, and that the process of dialogue or debate ends with each side acknowledging the other’s points of view– even if they disagree, especially because they probably will disagree. And the Aspen Institute believes that as a society, we don’t need fewer arguments. We need better arguments. Denver: Those are very simple, common sense ground rules, but so few people ever, ever follow them. Dan: I think sometimes: if we can just step back and remember what the role models in our lives when we were children taught us. Whether they were teachers or an aunt or an uncle or a parent or older sibling; when someone just said to you, “Hey, listen to what the other person is saying.” “Hey, can you just open your mind up for a moment…” or “Hey, I know you can say it that way, but you don’t have to. How can you say it more politely?” Just the basic decency that we learned growing up… so many of us… needs to be applied in the public space today. Denver: I think everyone’s thinking what they’re going to say next and not listening to what the person is saying to them. Dan: That’s a good point. Absolutely. What does it take to reframe? I think it takes an open mind and most of all, trying to think about any problem from another person’s perspective, because if you think of it only from your own perspective, you’re just pitching. You need to pitch it so they can catch it. Denver: I said before that the Aspen Institute is noted for framing issues in new ways, and that’s a way we come to find some completely new and different solutions. That’s a wonderful attribute to have. I see a problem; I try to solve it right away, and I go down the same dead-end probably that everybody else has gone down before. How do you reframe an issue? And maybe give us an example of a case where Aspen Institute has done that with a good ending? Dan: Let me give you an example first. We have a program at the Aspen Institute that’s called the College Excellence Program, led by a guy named Josh Wyner. Josh has been working on a program that’s called the American Talent Initiative, which is funded by Bloomberg Philanthropies here in New York City. The goal of the American Talent Initiative is to make it possible for more high-achieving, lower-income and moderate-income students to go to top schools with high graduation rates. There’s a lot of those kinds of schools in New York – Columbia, Fordham, NYU, etc. The College Excellence Program worked to make it possible for 110 of America’s top colleges, including the whole Ivy League, and many of those bigger public institutions that serve lots of kids like Ohio State, University of Texas – to all join together to set a national goal that collectively, we would enroll 50,000 more low- and moderate-income students who are very deserving, very talented, in any of these schools that have a high graduation rate. So, what Josh was able to do, supported by Bloomberg’s foundation, was to get these top schools not to compete against each other for rankings or bowl game wins or whatever, but to compete together to help our country by making sure that lower- and moderate-income kids – have the doors open to them. So, that was his first reframing… was to turn competition into cooperation. His second reframing was to frame it as a talent initiative, which is so important because if you think about a lower- or moderate-income student from the perspective of being talented, having a lot to offer, having earned the opportunity to go to a great school, but not having the door open – that really makes it a national issue to make it possible for more of our great future leaders to get the opportunity to go to top schools. By framing it and understanding it as talent or reframing it, Josh helped motivate a lot of schools to say, “We want to be a part of that. We want to help more talented students get the opportunity they’ve earned. That’s an example of reframing. What does it take to reframe? I think people do it all the time. Like when they’re raising their kids, and you rethink to yourself, “How do I get my child to understand something really important? Like let’s say that “Tobacco is bad for you. It’s bad to start smoking.” Parents are thinking, “If I talk to my child like I’m talking to an adult, my child may not hear me.” So, a parent thinks, What will my child hear? Maybe instead of putting out health statistics on addiction, a parent just says to their child, “Tobacco is a thief. Tobacco steals your money; it steals your health; it steals your looks.” That’s reframing. We all do it all the time. What does it take to reframe? I think it takes an open mind and most of all, trying to think about any problem from another person’s perspective, because if you think of it only from your own perspective, you’re just pitching. You need to pitch it so they can catch it. That’s the most important thing, empathy. That’s a good way to put it. It takes a little bit of humility to be willing to change your own previously-held views. I’ve changed my views on things over time. I think that if you just think to yourself, “Am I sure I need to hold that view forever?” Sometimes it becomes quite easy to reframe an issue for yourself, which is the first step to reframing for others. Denver: You put yourself in their shoes and decide what is going to reach them. As you say, when you make the tobacco companies this evil empire enemy, it changes everything, as opposed to me trying to tell my kid not to smoke… which makes it even more enticing. Dan: I also think that if you’re going to reframe a problem, think about the problem in a new way. It takes a little bit of humility to be willing to change your own previously-held views. I’ve changed my views on things over time. I think that if you just think to yourself, “Am I sure I need to hold that view forever?” Sometimes it becomes quite easy to reframe an issue for yourself, which is the first step to reframing for others. Denver: Give me an example of something you’ve changed your mind about, let’s say, in the past decade or so, and why? Dan: One is about the drinking age. I really think that our country would be better served by experimenting with a model of allowing younger people who are 18, 19, or 20 to be able to have a learner’s permit to drink beer or wine. They could lose their learner’s permit if they drove with any alcohol in their system, or if they committed a crime and had alcohol in their system. Maybe they could only purchase beer or wine from a certified, licensed establishment like their college or the military if they’re in a service. I think it would be better for public health if younger people who can vote and who work and do all sorts of other things could learn how to drink wine or beer socially. I didn’t always hold that view, but I came to hold that view when I, as a college president, noticed how many 18, 19, and 20-year olds were in fact drinking under the table before events, or were finding a way to get into bars with fake ID cards. I just wished I could instead serve them beer or wine on campus legally because they had a learner’s permit. Of course, we never did that. But if we could do that, I thought it might have good public health outcomes. Dan: That’s an example of change of perspective. Denver: It’s sort of embracing the gray. And we have everything in this society as black and white. You can drink or can’t drink. But sometimes embracing the gray a little bit and having that malleability in the middle can serve everybody’s best interest. Dan: The thing about the learner’s permit that could be good is it recognizes that there’s different levels of maturity; 18, 19, 20-year olds. Some 18-year olds are like 50-year olds, they’re so mature. They’ve handled so much responsibility. They’ve held big jobs. They’re in the military, for goodness sakes, defending our country. Others maybe just haven’t yet had the maturity to really be able to handle that, and they would not be able to keep a learner’s permit then. Denver: When you came to Aspen, you had a number of big objectives. One of them was to extend your reach. Another was to be more bold and audacious. Still another was to increase the organization’s impact. Let me pick up on that one. Dan, how does an organization like the Aspen Institute go about measuring its impact? Dan: That is such a great question. We have about 60 different programs. Some of them are leadership programs where you’re working with individual cohorts of say 15 or 20 mid-career adults who are looking to take their work to the next level of significance. We’re also running education programs for people of all ages. We conduct studies to see if certain kinds of practices in education or in the workplace are working; we have all these different ways that we work. There’s not going to be one way to measure impact across the different methodologies we have. I think that first of all, one of the benefits of caring about impact is it puts a little bit of an incentive then to ask before you start doing your work: “What’s my goal?” If ahead of time, you’re able to express the goal you have, whether as a teacher or as a coach or as a program leader, as an employer; if you know what your goal is, it becomes easier then to see if you’re making progress. Secondly, I think that when organizations receive money, whether from donors or from the government, it’s important to be able to say to your generous people that are investing in you, “Hey, here’s what we’re trying to accomplish.” For example, we’re trying to help find the next generation of leaders in community colleges. 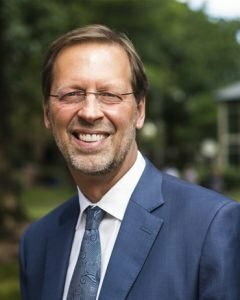 If we can really work with those future community college presidents so that those presidents learn some of the techniques for getting higher graduation rates and getting their 2-year graduates into either transfer positions at 4-year colleges, or jobs that pay, we could do a lot of good in society. There’s a lot you can measure in that. You can measure: are the people you’re finding going on to get those presidencies of community colleges? Is the work they’re doing at those community colleges then increasing graduation rates, increasing postgraduate employment? It’s not the only thing to value, but it’s important to measure what you can. Denver: I find that sometimes when you have to write something down, as opposed to saying it and having to distribute it to somebody, it really gets you to think a lot harder about exactly what you’re trying to do. Dan: Of course, some forms of benefit are not as easily measured. For example, you asked me some important questions, and I reflect on them; and two years later, my mind has changed a little bit. That may be a harder thing to assess. Or, if you and I have worked together with two businesses, a college and a church… all to help to fix the neighborhood. Which one had the biggest impact? Hard to say. So, I think you can get a little crazy trying to find every impact. But it’s good to measure what you can. Denver: Absolutely. We mentioned David Brooks before, and I said we would return to him. I, like millions of others, read him in the New York Times a couple of times every week. I didn’t realize a lot of what he’s been doing now, he has been doing in concert with the Aspen Institute. Share with our listeners exactly what that is. Dan: David Brooks came to the Aspen Institute about seven or eight months ago with an idea. He said, “As much as I love writing columns in the New York Times, I would like to try to make a bigger, deeper impact in America. By going around the country and meeting individual women and men who are change makers in their communities, and who have brought about change, not by dividing people but by bringing us together.” He was acting on an intuition that there’s something beautiful and civic-minded in the soul of America that we need to go find and allow ourselves to see again in our neighborhoods, in our communities, at the grassroots and individual level. David had this sense that if he could get out across the country and be able to meet people, whether they’re doing it through inter-religious dialogue programs, or education programs, or violence-prevention programs, or the programs that bring together people of different political philosophies; if he could find the people that are trying to heal the divide, that are trying to re-weave the fabric of community. And then if he could put a spotlight on those everyday heroes and heroines and find the themes that they all believe, he could perhaps elevate their collective voices through his columns and through some convenings that we’re doing together at the Aspen Institute. That’s exactly what he’s done. Whether it’s a young man who’s working to empower urban youth in Washington DC, or a Methodist minister in New Orleans who’s opening up her home to anyone in the community that wants a place to go, to a man in Chattanooga who’s got the whole city talking about One Chattanooga, David’s finding people, from all these different backgrounds, all about the same thing – bringing community together. His hope is that he could even turn them into a national force because the power of their example is so great. One of the things that he’s told all the different audiences he’s spoken to is what we can learn from everyday people that are making a difference in everyday communities is: one, they want to solve problems. Two, they have a calling, a sense of humility. Three, they have chosen this way to work as an alternative to some other aspect of society they didn’t want a part of. They walked away from a job or from a fight or from a way of viewing the world in order to have this embracing, humanistic vision. That’s what David’s doing. And that’s what the Aspen Institute is really about. It’s about finding people that want to make communities strong again. Denver: A couple of remarkable things about that. Number one, I didn’t realize he recruited you as opposed to you recruiting him. I think the other thing is: that’s exactly what we need right now because the diet we’re being fed by the media is so depressing and is such bad news. I talk to so many people, and I ask them why they are so stressed and so anxious. Just feel the way they feel, really depressed. Everything we get from 11 to 11:30 is just a horror show, and it’s not representative of what’s going on in this country. Dan: I think that’s the key point. Somehow, it’s almost as if we need a new media focus, channel, a whole new ethos where we’re somehow going to make it possible for people to see and believe that the norm across our country, especially at the local levels, is people trying to make life better and connecting to each other, not wanting to engage in partisanship that turns the other side into your enemy. Denver: I know part of your vision is you’d love to see the Aspen Institute eventually become a media company in a number of years. Dan: It would be interesting if we could find some way to fund ourselves, probably without advertising. So, our job would be to aggregate, bring together the stories that everybody else is telling. Local newspapers across the country, which are under so much pressure… or local radio or public television, or the foundation world that’s funding different kinds of ways of helping communities. If we could be an outlet that brings it all together, a go-to place to learn about who’s working to make a difference in America–why does it matter? And who are the people involved? — I think we would do a lot of good. I realize that I’m probably right now just fantasizing a little bit. Denver: As you mentioned before, the Aspen Institute has some 60 programs. I’m just going to pick one arbitrarily because I’m really interested in it, and that is your arts program, which is now being led by the former executive director of the Signature Theater here in New York. What role, Dan, do the arts and culture play in bringing about social change? Dan: That’s such a great question. Erika Mallin, when she was the leader of the Signature Theater, helped develop a program in which the everyday public could afford to bring their children to the theater. The ticket pricing was worked out in a way that really worked for families. That’s one thing, is to make art accessible. I also think that art allows people to express themselves. We express ourselves both through art and by interpreting art. My brother’s name is Matthew Porterfield, an independent filmmaker. His films don’t go into big Cineplexes, but they’re very fine independent films about everyday people in Baltimore, where he lives. One of his movies which is called “Putty Hill.” All the people in the movie just about are real people, and Matthew built the parts around them, everyday people. Then in the movie, they all are doing different things that are artistic. One is a tattoo artist. One is a woman who plays guitar at her house. One is a kid whose artistry is on a skateboard. Another is a young man– we don’t know him as a character– but he does graffiti. The point of all that, what Matthew was saying is: in this particular working class community, there is art everywhere. People express themselves, the universal feeling– a yearning to express one’s self. I also think there’s a benefit for society when an art form can allow us to discuss or debate ideas by talking about the art form, as opposed to directly engaging the idea. It’s almost like it throws your glance off to the side. For instance, a movie like “Do The Right Thing” by Spike Lee, one of the great New York movies, really got people talking about race relations and about the legacy of historical racism and structural impediments that can keep people apart from one another. I’m not sure if that was a hopeful movie or not. I didn’t see it as a hopeful movie, but I do think it was a helpful movie because it got people talking. Denver: These artists are such great social entrepreneurs, and I think what they do is they touch a different part of our brain than some things that we normally consume, but they have a hard time getting the kind of venture capital, venture philanthropy that people who are trying to solve poverty and a whole bunch of other things so readily are eligible for; they’re off to the sides. It doesn’t really make much sense. Dan: It takes work to stick with one’s artistic vision when there’s not a lot of funding for it. I know this well because my brother, Matt, left NYU after three years. He was ready to make a movie. He waited tables, and he took on every odd job he could over five years, so that he could buy each piece of equipment he needed each step of the way. But that’s good for him too, although it was hard. It took a long time. The movie that came out of that was called “Hamilton.” It was actually reviewed in The New Yorker. Richard Brody called it a masterpiece. But it didn’t come out of a Hollywood studio. It didn’t have a hundred million dollars behind it. It had about a hundred thousand dollars behind it, saved up over five years. I don’t think Matthew would change a thing in the way he has made film. I think that the arts community in general serves a democracy incredibly well because it reminds us of the eminence of each person’s perspective, and also of the critical importance of freedom of speech and freedom of expression. I do think leadership is a complicated term. I think everybody can be a leader because everybody can be a role model to others. Isn’t that what a leader really is?– Someone whose example inspires other people to give or do their best? ..a lot of the people I would call leaders are students I actually have taught, because in teaching those students, I came to recognize their journey for learning and their desire to honor their families and their hope to contribute to our country. In that way, they were leading me to be the better teacher than I might have been if I hadn’t had them as my students. Denver: You give a lot of thought to leadership, how that concept of leadership is changing and evolving. Goodness knows a guy like Vince Lombardi would not be very successful in the world of 2019. Tell us how you think about leadership and how you put it into practice in your role of leading the Aspen Institute. Dan: I do think leadership is a complicated term. I think everybody can be a leader because everybody can be a role model to others. Isn’t that what a leader really is?– Someone who’s example inspires other people to give or do their best? Sometimes the people that want to be leaders think it’s all about the title; it’s all about winning the election or getting the promotion. In fact, everyday leaders in our lives, the ones that are in our brains from childhood forward, the ones who do the right thing, who ask the right questions, who carry themselves as models of integrity– which means their actions are lined up with their values – I think those are the real leaders in society. For me, a lot of the people I would call leaders are students I actually have taught, because in teaching those students, I came to recognize their journey for learning and their desire to honor their families and their hope to contribute to our country. In that way, they were leading me to be the better teacher than I might have been if I hadn’t had them as my students. Denver: You are deeply committed to diversity, equity, and inclusion. I think that was made evident by your time at Franklin & Marshall, I think your Pell Grants tripled over the course of four years. I speak with so many nonprofit leaders who are working hard on this issue within their own organization, but are really frustrated at the slow pace of progress. Is there a way for them to look at this opportunity that would be helpful for them to adopt? Dan: I don’t want to hold myself out as having every answer, but the main one is to work in partnership with the organization that you’re a part of… everyone… so that your organization collectively can ask the question: How can a more inclusive workforce or student body serve our mission as an educational institution, or as a company, as a nonprofit organization? Would we do better as a company with a more diverse workforce? Would we have a deeper, richer educational experience with more backgrounds in the classroom? As a nonprofit, would we serve a diverse and demographically changing nation with a more diverse employee base? Start with that question – how might diversity enhance your mission? If you can answer that question well, learn from others that are like your organization. How are they seeing it? I think that’s the first step. I don’t think of diversity simply in one level – like it’s just about ethnic identity or gender – those are critical things. Nor do I think about diversity just numerically. If we can just hit a certain percentage of the workforce, well, we’ve won, right? You never win. I think, rather, what diversity and inclusion is about is serving the mission of your organization. And can your organization proudly claim that it’s always moving even further forward to being the best organization it can be? If your answer is that’s your goal… to be the best, then you will constantly live the question of how to engage our diverse world and your diverse customers or stakeholders in a way that most respects who they all are. Denver : it’s not a problem to be solved. It’s an opportunity to be grabbed, and that really just changes, as you say: This is a way we can become better. Dan: That’s what we’ve been talking about at the Aspen Institute. Just in little ways, some of the things that we as a group, all employees; we had a town hall meeting on this topic not too long ago. Some of the things that some of my colleagues suggested, for example, is that we should be thinking about the surveys we do, and if the wording of the surveys is approachable to a diverse audience taking the surveys. We should also be thinking about how will we interpret our surveys. Are we interpreting them in partnership with the people that we’re serving? It’s interesting… if you’re asking low-income people about a service you’re providing, are you giving them a chance to give you their feedback on what it was they said? Then another really important thing is the concept called “co-creation’” which some of our programs use, which is a term that just means: if you’re working on an anti-poverty program, are the people at the table with your program leaders, the people benefiting from the program? Our program on Native American youth, which is led by a colleague named Eric Stegman, is amazing at partnering with Native American students to design the very activities of the program. My point, I guess, is, I don’t think of diversity simply in one level – like it’s just about ethnic identity or gender – those are critical things. Nor do I think about diversity just numerically. If we can just hit a certain percentage of the workforce, well, we’ve won, right? You never win. I think, rather, what diversity and inclusion is about is serving the mission of your organization. And can your organization proudly claim that it’s always moving even further forward to being the best organization it can be? If your answer is that’s your goal… to be the best, then you will constantly live the question of how to engage our diverse world and your diverse customers or stakeholders in a way that most respects who they all are. Denver: You’re a pretty bigtime enterprise. You have a budget of around $150 million. Dan, what’s the business model for the Aspen Institute? Who are your key partners, your key supporters? Dan: We have about 60 different programs that serve a whole wide range of communities. For example, we have a great program on rural economic development led by Janet Topolsky. It’s making a difference all across the country. We have a program called Ascend, which focuses on thinking about the amelioration of poverty, the prevention of poverty through the lens of the whole family, rather than just working with the parent or just working with the children. It’s a family approach, a two-gen approach to preventing poverty, led by a woman named Ann Mosle. We have a lot of programs where there’s a great deal of direct service to actual human beings who are our partners in making the programs work. Then we have other programs that are about working with leaders to help leaders prepare themselves to accept their responsibilities of making a still bigger impact. So, how does all that get funded? It’s a combination of donations from private individuals, grants from foundations like the Ford Foundation, the Gates Foundation. Then there’s also some government funding; State Department funds one of our programs, which is to do long-distance education that brings together American students with students in North Africa and the Middle East, online and through technology. Some of our programs are funded by charge. We pay people to take part in our leadership programs or to attend some of our Ideas Festival. It’s not one way that we’re funded, which is better. That’s one of the things that is actually hurting colleges and universities, is that they’re so dependent on tuition revenue that they don’t have other sources of revenue, so they don’t know how to deal with the increasing cost except by passing on the cost in the form of tuition increases. It’s hard to say that they don’t have increasing costs when they have such technology needs or such significant employees that need their healthcare covered, and for the cost of living to go up. The more what they call diversification of revenue streams, the better, I think. That’s one of the things that I love most is trying to be a participant in and a contributor to a positive workplace culture; whether the workplace is a classroom, or a team, or a nonprofit, or a university. I’ve only worked in nonprofits…and in educational institutions. But I think that our culture is one that’s positive and collaborative, results-oriented, nonpartisan, which is critical. I think also we’re optimistic, and we’re creative. Denver: Let’s talk a little bit more about your corporate culture. Every organization has its unique DNA at its core. How would you describe the corporate culture, or the organizational culture, at the Aspen Institute? And maybe some other ways… what you do to try influence it and shape it. Dan: That’s one of the things that I love most is trying to be a participant in and a contributor to a positive workplace culture; whether the workplace is a classroom, or a team, or a nonprofit, or a university. I’ve only worked in nonprofits…and in educational institutions. But I think that our culture is one that’s positive and collaborative, results-oriented, nonpartisan, which is critical. I think also we’re optimistic, and we’re creative. Among the things that I’m working to do is to give the 400 or so employees at the Aspen Institute more opportunities to be together and talk about the work that they’re doing in the way that helps them to develop their skills and also their awareness of each other. So, we have a monthly gathering we call “The Common Hour,” where we focus on key topics relevant to everybody’s work like: how to measure impact, as we discussed earlier. Or, how to think about the question of the word “elite,” and does the Aspen Institute have to adjust its offerings to be less elite? Other times we’ve had town hall meetings on particular topics like, for instance, diversity, equity, and inclusion. Then we have biweekly breakfasts with me as CEO, with 10 different colleagues every other week. All these different efforts are about bringing more people who are in the workforce, to have them feel more of a stake in each other’s work, to feel even more mutual dependency and joy in being colleagues together. Finally, I’d say that for every organization out there; this is true of a family– this is true a church, this is true of a synagogue, it’s true of a business, it’s true of a school– You have to think about what are some of those core values that you really want to work towards together. In our case at the Aspen Institute, it’s excellent with impact. It’s being coherent and knowing each other’s work, being able to describe our work well and honor each other’s work, by describing it well. It’s sustainability by making sure that we are committed to helping the organization take care of itself financially, an organization so that it will be stronger fifteen years from now, when we’re all gone. Finally, aspiration. We want to do more for our public. We want to do more for our country. Denver: Talk a little bit more about your personal journey, Dan, to your current role at Aspen, and I guess that story almost has to begin with your mom. Tell us about her. Dan: I was so fortunate. I grew up in Baltimore City. I was born in 1961. My mom was a single mother who went to college in her 30s at Towson College while working during the day. We almost went to school together. I graduated from sixth grade; she graduated from college. Of course then, like many other moms who go back to college a little bit later, she wanted another degree. So, she got a masters degree when I was in high school, in history. Then she got a PhD in history when I was in college. My sister and I both really had the opportunity to go right to college after high school. Whereas my mom and my dad both didn’t go to college until they were in their 30s, and they were lucky to have affordable, public commuter college. They can go to Towson, a very good school. They could afford it. They both got their degrees later in life. My dad did also, and he’s still alive. My mom passed away. My dad also took care of our family by paying child support very regularly in the way that – it was like a team effort. My mom and dad divorced, both working and going to college, but doing their best as partners by their children. That taught me the value of cooperation, the central importance of family, and the incredible, almost religious belief in the power of education. The thing about education is that you are better if I get it, and I am better if you get it. The whole society is lifted up when anyone in the society gets an education. It’s the one thing, of everything else, it’s the one thing in a democracy that we must have because a democracy is only as strong as its people, and its people are only able to flourish if they’re able to develop the greatness that’s inside of them, and not feel that greatness is somehow snuffed out or kept within or never seen. It takes education, in many different forms, not one way, to allow young people to feel that what’s inside of them can get out, and they can grow and flourish and become a great person like they’re called to be. Education is how we organize that process, that democratic process of allowing young people to grow into their adulthood, and to grow into adulthood, proud of who they are and ready to give back to the society that created such a fine foundation for their own development. …the mindset that you are a learner, that you create your learning, that someone doesn’t give it to you; you don’t buy it. You create it with your own effort. Any young person that develops that mindset in college or in any other way, will never starve. They will never feel they’re not growing. They will never feel that they’re stuck because they’ll know: I can learn. Denver: What’s inside of you and is about to come out is a book. It’s called “Involved,” and it’s inspired by a quote by Benjamin Franklin. Tell us about the quote, and tell us about the book. Dan: Ben Franklin, along with Frederick Douglas, I would argue, are two of the most iconic Americans. Self-taught, self-educated people that helped create this incredible nation. Franklin loved the idea of apprenticeship, and he loved the idea of helping young people. So, he had this quote that took the perspective of the student. It said, “Tell me, and I forget. Teach me, and I know. Involve me, and I learn.” My book is called “Involve” and it’s about the power and beauty in the college context of younger people and older people teaming up, because the older people involve themselves in the formation of the young people. Teaming up to create learning and to create value that wouldn’t happen except for both parties giving their best to the enterprise of education. In particular, I argue in this book in five chapters that there are certain mindsets that students gain by going to college and being responsible for their education and taking care of themselves, getting up and going to class, and doing all the things that an emerging adult has to do in college …leads to the formation of five mindsets that are incredibly powerful for the rest of one’s life. For example, the mindset that you are a learner, that you create your learning, that someone doesn’t give it to you; you don’t buy it. You create it with your own effort. Any young person that develops that mindset in college or in any other way, will never starve. They will never feel they’re not growing. They will never feel that they’re stuck because they’ll know: I can learn. That’s what the book is about–the celebration of young people and the glory of developing the talent within them. Denver: I want to read it. You’re actually right: Don’t wait for it to come to you. You’ve got to go out there, and you’ve got to get it. Let me close with this Dan. You were taught at Georgetown by your mentor, Father Timothy Healy, among others, the importance and potential of institutions to create positive, systemic change in society. 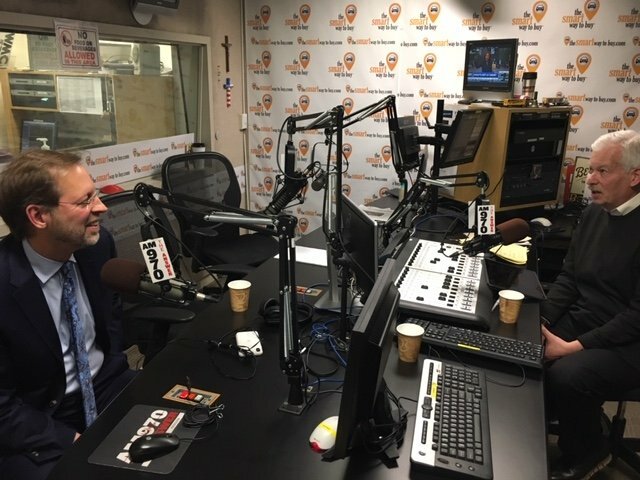 But as many of our listeners out there know, we’ve lost a lot of faith in our institutions– the church, government, the media, the financial industry and others. What do you believe the impact has been on American society? And do you think that these and other institutions will ever regain Americans’ trust? Dan: Those institutions need to regain American’s trust. That is one of their core functions, is to be able to hold the trust of the larger civic body and of individual Americans, because if our institutions are not trusted, our citizens will be left just retreating into whatever enclave they can find. A working democracy needs all those institutions you just mentioned to deliver benefits to the people impartially, without discrimination or prejudice, with accountability, for getting results without corruption, or waste, or fraud, or graft, or in some cases, some institution’s abuse. Institutions have to be held accountable, and the people that work in them need to be held accountable if they’re violating the sacred trust of those institutions. I do believe that one of the great strengths of America is that we have these institutions of a working press, of the private sector, of the financial industry, of schools and institutions, and of religious institutions that are not government entities. That’s key. I think strong, non-governmental entities is the way the American system of free enterprise has been developed. If we love America, and we believe we’re going to create a strong shared future, we should be investing in the institutions in our lives, their ability to help the people of our country. That’s what the Aspen Institute – one of the things – we’re really all about. 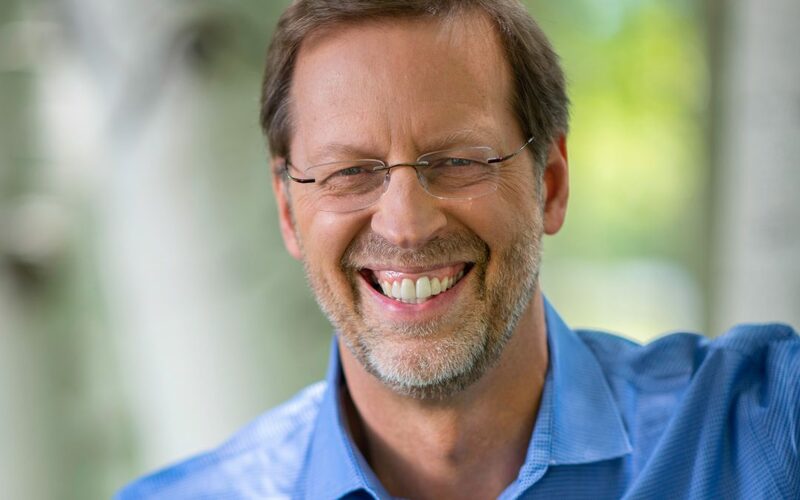 Denver: Dan Porterfield, the president and CEO of the Aspen Institute. I want to thank you so much for being here this evening. There are very few websites that are as rich or contain as much information as yours. Tell us what’s there and how listeners can get involved in helping support your work. Dan: I hope the listeners will go to the main website of the Aspen Institute. You could perhaps sign up to receive what’s called “The Five Ideas of the Day,” which are just a free email. Send you some fun articles. You might not read them all; you might not read any of them for a week. But there are some good articles. Or you could look at the… go into the website and look at the Aspen Ideas Festival which will be all of our panel discussions that will be webcast and later stored on our website. So you can see the dialogues that are happening this summer at our Ideas Festival. Then I think also, I would encourage listeners and readers to look at the website, the parts of our website that describe our individual programs, a few of which I mentioned today. I’m very proud of all my colleagues that work so hard to make a difference for the American people to solve problems, and I think you’ll find some pretty interesting material on that site. Denver: I think you’re right. Thanks Dan. It was a real pleasure to have you on the program. Dan: Thank you Denver. Have a great day!